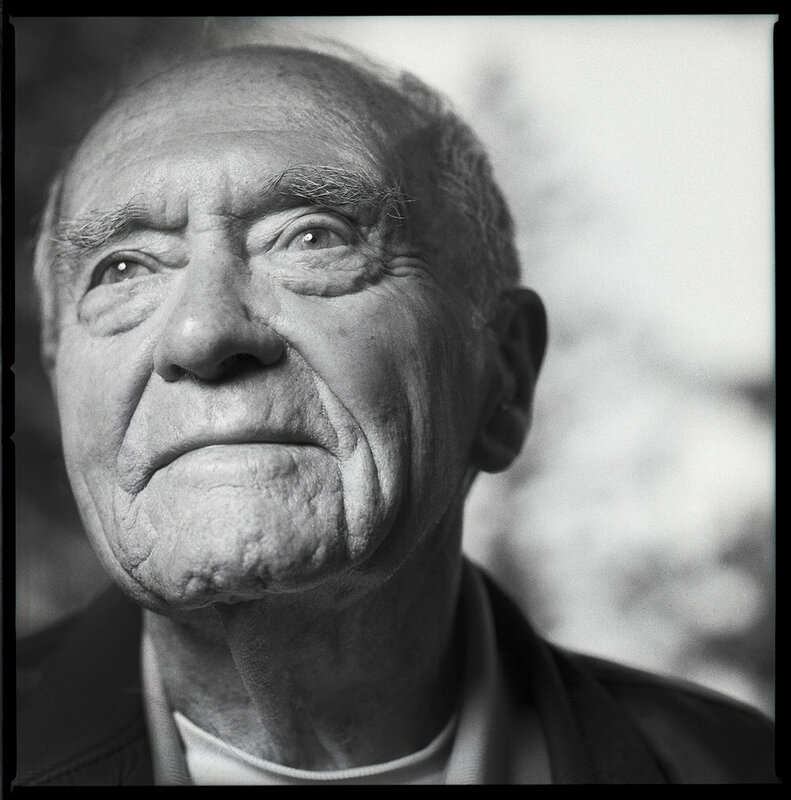 Feature | It’s a sunny afternoon in mid-May and Wally “Crazy Wheels” Baker is sitting on the large porch of his Sierra Nevada foothills home near Placerville, California, enjoying the mountain view from his secluded 10-acre property. A retired race horse, Trader, and frisky dog, Bob, are roaming around, keeping him company as he sips a Bud Light from a frosty mug. 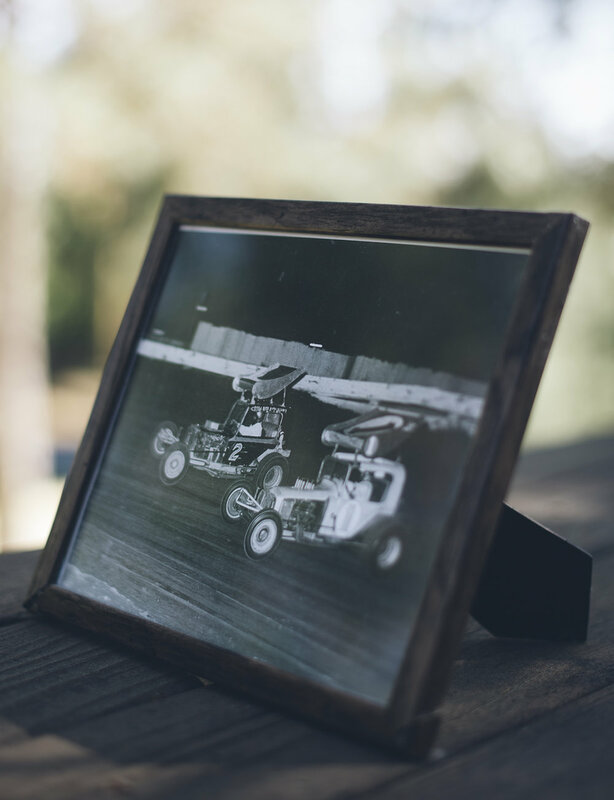 Birds are chirping from the swaying sequoia, redwood and cedar trees as Baker, a grassroots auto racing pioneer and driving champion, remembers his days competing at the early dirt speedways of Northern and Central California. It’s a long way from the short tracks where he once dueled with some of the biggest names of his time. Baker is a spry 90 years old. His racing adventure began in 1951 when he bought his first race car, a 1935 Plymouth, for $5 and an engine for $25. He competed with the Chico Racing Association and California Stock Car Racing Association (CSRA) until 1955 when he joined the Bay Cities Racing Association (BCRA) Hardtop Division. Competing at long-gone and historic tracks in Pacheco, Vallejo, Fresno, Sacramento, Chico, Stockton and Roseville, Baker won the 1958 BCRA title and captured the 1961, ’62 and ’68 Central State Racing Association titles. He was also the CSRA president in 1967. As racing continued to evolve, ever-popular Baker moved to supermodifieds in the mid-’60s. Competing with his own machines, he won the coveted Gold Cup Race of Champions in 1968. He would also drive for a handful of car owners including Jack Gordon, who also fielded cars for Gary Patterson. Baker retired from competition in 1974 after he was involved in a harrowing accident at West Capital Raceway. Losing his helmet during the wreck, he remained unconscious until he woke up at Mercy General Hospital more than a week later. What’s your secret to making it to 90 and beyond? Wally Baker: I really don’t know (laughs). My mother was 96 when she died. My dad died and my brother died in their 70s and here I am: 90. My sister, Elsie DiMaggio, is 96 now. Baker: I was born and raised in Sacramento. My dad had a garage and I used to mess around there. I learned about cars with him, but my family never went to car races. I finished my high school education after the war [World War II]. I went into the Navy when I was 16; I was supposed to be 17 and I served not quite two years. When the war was over, we were in the Philippines, coming back to the States, bringing back troops and equipment. Baker: It was Jerry Barnett. I went to high school with him and he got me started. When we got out of the service, he was living in Chico and I was in Sacramento, and another guy, Dale Smith, we were going to Chico to dances on the weekends and he [Barnett] was racing and we’d watch him and I started helping him work on his race car. He drove roadsters before they started hardtops, and when the roadsters weren’t drawing crowds and the hardtops were coming along, I started thinking about racing, too. People were just crazy to go see those races. Like Hughes Stadium [in Sacramento], they’d have $2,000 purses there. They’d pack the grandstand. The people loved the hardtops. So, I built mine and it took me about two years to really get going. I was over at Stockton  Speedway and this official says to me, "Wally, why in the hell don’t you slow down going into [turn] one and stay on the pole [down low]?” So I did that and I won the heat race and got second in the main. Before that I was going in hot and I’d slide up the turn and get higher and guys would go right by me. You could go into [turns] three and four wide open — almost — and nobody could touch ya because you’re going so fast. That guy, I don’t remember his name, helped me out a lot. That’s when I started using my brain instead of my foot. But yeah, it took me about two years to get perfect: to what I thought was perfect. You gotta learn. It’s a nice experience when you’re competitive like that. It really makes you feel good when you get it going. When we first started we had the stock rear ends and stuff like that. With mine — the Mopars — we’d wear out the rear ends really fast because all of the grease would run out and down to the end of the axle in the short turns. So, you’d use white lead and that made it so I could stay in the races a lot longer. I used to replace the rear ends all the time. I’d get ’em for nothing out at Jim Mills Auto Wreckers. He used to sponsor me and anything I’d need, I’d get for nothing. Then there was [Bob] Barkhimer and he started the hardtops, and when NASCAR bought the hardtops from him that’s when he went on to run NASCAR. And that’s about the time when I started racing. I raced at Pacheco Speedway, Sacramento, Santa Rosa, Stockton, Marysville, and San Francisco occasionally. We had some competitive drivers that I enjoyed racing with, ’cause when you beat ‘em you’ve really beaten somebody. A lot of wheel-to-wheel racing. Enjoyable! But there were some guys who were just making laps. They don’t know what they’re out there for. They don’t have brains enough to find the groove to be competitive. What were you doing with the engines to make them faster? Baker: Frank Gillette was very competitive. He had a Mopar like me and we were good friends and he was a steelworker. Anyway, he worked in all the big, high, steel buildings. He would cut off all the counterbalances on our crankshafts just one inch outside of the main bearing so it wouldn’t vibrate. Then there was another guy who would balance the crankshaft so it would spin perfectly and we’d use special pistons and special camshafts, valve springs, light flywheel and all that stuff. We were doing that long before anybody else. You learnt fast. Now you gotta have so much money just for an engine: $36,000 for a motor and $10,000 to go through it, for crying out loud. It’s unbelievable! You started running nitromethane in the ’50s, right? Baker: A newspaper reporter gave it to me; I think he was with The Sacramento Bee. It was because my wheels would start shaking when I would go really slow because the axles would wear out real easy. They’d get sloppy. Chrysler used really cheap metal and the kingpin would just wear out. I had to replace them all the time. What rivalries do you remember from your hardtop days? Baker: Johnny Franklin, Ray Raineri, Joe Giusti, Jerry Barnett, Bob Caswell… and there were four or five others but I can’t think of them. I raced Capital Speedway, Vallejo, Pacheco Speedway…. Pacheco was one of the best-paying racetracks there was. It was a good dirt racetrack. When I raced there that’s when I learned I meant something to racing. I got fined 25 bucks for something and I got mad and quit and this promoter from Pacheco Speedway came to Sacramento, took me and my wife out to dinner and paid my lousy $25 fine and I raced at only his track for the rest of the year. He said people were stamping their feet wanting Wally Baker! I couldn’t believe it. I have a plaque hanging up [A Special Award for Showmanship] that they gave me at the end of the year . Pacheco is long gone. They put a freeway [I-680] and tore it out of there. Boy, that was a fast track. You could really go like hell. Dry-wet sloppy race track. You had to know what you were doing. Baker: I dunno. I must’ve done something to somebody, or somebody did something dirty to me and I paid him back. Did you have a temper when you were racing? Baker: Nah, I just always had fun. We’d all get together after the races and have a good time. How many main events did you win? Did you keep track? Baker: Oh, I don’t know. I don’t even give it a thought. I know I won a lot of ‘em. I won probably five track championships… Vallejo, Pacheco, Capital, Roseville…. I remember one of the first 100-lappers that I ever won. It was at Pacheco. It was a great race track … and I got around it good, really enjoyed running it. I don’t remember when it closed  but it was a sad day. I just enjoyed racing. Everything I did was just for the fun of it…. Did you ever race in Southern California? Baker: One time — and they had wings. We didn’t have wings and I never even saw wings on a race car. We went to Los Angeles and they had wings all over. We were breaking loose all over the place; we couldn’t stay with ‘em. That’s when we got wings. 125 bucks for a wing. We ordered ’em fast; we wanted ’em bad. What a difference! Unbelievable. Baker: Yeah, I went for about six races  and I only finished one race and it paid $400, which was pretty good, especially with the exchange rate back then. The biggest race they had, I had led almost the whole race and had six more laps to go and I blew a tire, wore it out. It was a $3,000 purse but I never got it. You raced with Leroy Van Conett and you’ve stayed friends over the years. Baker: Yeah, I met him at the race track and I enjoyed watching him race. When we raced we were competitive and we never had no problems. We never had any kind of disagreement in any way in racing. We always treated each other with respect on the racetrack. I enjoyed watching him. He was doing everything that I wanted him to do. I was right with him all the way around the racetrack. After I retired I used to go to wherever he was racing, to see him race. He was one of the best there ever was. The only racing photo in Baker’s house, racing with Jimmy Gordon (1) at West Capital. What made you a good race car driver? What was your secret? Baker: I don’t know. I think I was just very fortunate. When I worked with my hands, you know, I was always fast. I was always one of the fastest doing it. I think that had a lot to contribute to it. Whatever I did, I always did hard. I worked hard. When I was working as a kid, picking fruit, I always made more money than anybody else. Even at upholstering, I was one of the fastest. And you had to be neat; we did good work. What do you remember about winning the Gold Cup in ’68? Baker: I won all three of the 100-lappers at West Capital that year: Memorial Day, Fourth of July and Gold Cup. That was a great year. I was racing my own car. Back then you’d come from the back. They’d put the fast cars in the rear and those big races would start some 58 cars. You’d have to pass a lot of cars… and you got money for passing cars, passing points. When did you start driving for somebody else? Baker: When it got too expensive. I didn’t want to spend the money that I had to spend to be competitive. That was 1969; I was driving for Don Ciccadia. He owned Day and Nite Auto Parts in Sacramento. That’s when I met Jack Matthews and he did all the work on my engines. I liked driving for him. Do you remember your wreck at West Capital? Baker: No; all I know is eight days later [after the wreck] I woke up and I thought it was the next day. I went to Mercy Hospital. It was during the main event. I don’t remember much about it. I do know it was this one character that caused it… he was all over the racetrack. It was my fault, too, because I could have backed off but I don’t back off very easy; you know what I mean. I coulda waited a little longer to pass him but I had a shot at passing him and he just lost it a little and tagged my rear end when I went by him and flipped me towards the wall and over I went. Did you go to the races much after you recovered? Baker: No; I went to Roseville and Capital but I just got upset and I didn’t know the guys and like I said, I liked to go when Leroy was running and I’d go to see him but that was it. I had a lot of fun. I can’t squawk about anything [now]. And I don’t hear that good. I don’t hear a lot of the talking and stuff. I got two hearing aids because of the race cars. I’m paying for it now. Did you ever miss driving? Baker: Oh yeah, I missed it, but I wasn’t going to rattle my head no more. Did you keep your trophies? Baker: All I got left is a couple of trophies. I gave everything away years ago. I used to give ’em to the kids and some of my fans. Tell me about your family. Did they like racing? Baker: Yeah; my daughters were very popular in grade school and high school because of me racing. Debbie is the oldest one and that’s the one that gave me all the trouble. I was paying for her to go to college and she wasn’t going to school (laughs). Thank goodness she straightened out. She’s married with kids, two lovely daughters. Diane and Lauri are my other daughters. Connie and I got married in 1953, if I remember right. She’s not interested in the car racing. She never liked going.